We are leaving the planet with our list of the 11 best space documentaries on Hulu! One of my favorite shows when I was a kid began with the words “Space, the final frontier …” And you can bet that line will always be relevant when we think about the endless expanse of space. We are not even done exploring the Earth yet and have been here for 200,000 years (give or take, in our current form). When it comes to space, we are making huge progress in our understanding of it and in some of our technical innovations (Mars Rover), although it perhaps isn’t as much as people thought considering we first walked on the Moon nearly 50 years ago. 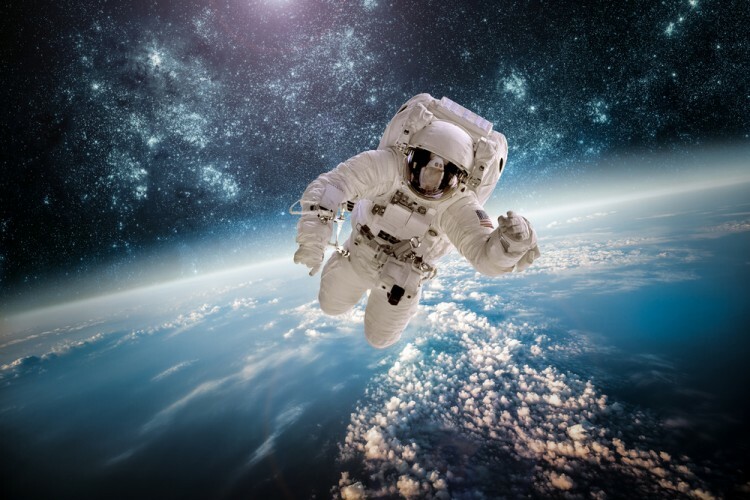 Nonetheless, it’s progressing, and in a few years, even ordinary (well, ordinary but rich) people could have the opportunity to visit space thanks to plans for commercial space flights. Also, you may be familiar with the idea of colonizing Mars. If not, there is a documentary on our list talking about the subject, so stay tuned. One of the most exciting recent breakthroughs related to space is NASA’s discovery of Earth-sized planets that are orbiting around the dwarf star named TRAPPIST-1. This solar system is 39 light years from Earth. The biggest news is that some of these planets may have conditions that could support life. With this discovery, it looks like our chances of finding another habitable planet similar to Earth have further increased. While we may not be around when humans succeed in permanently inhabiting another planet, it will almost certainly happen at some point and that is exciting to know. Science has brought us far and has much further to take us yet. If you want to get familiar with other scientific breakthroughs, check out our list of the 11 Best Science Documentaries on Netflix. Jointly created by Walt Disney Co (NYSE:DIS), Comcast Corporation (NASDAQ:CMCSA), and Twenty-First Century Fox Inc (NASDAQ:FOX), Hulu was founded in 2006 and has become one of the leading video streaming services in the U.S. Time Warner Inc (NYSE:TWX) also holds a 10% stake in the venture as of last summer. Hulu is planning to launch a live television streaming service later this year, which will reportedly include live broadcasts of CBS and other affiliated channels. Hulu also streams content from A&E, Viacom, PBS, Funimation, and dozens of other networks and content distributors. Getting back to space documentaries, there are not as many out there as you would think. Since there are so many things that are unknown, filmmakers rarely take on the challenge of exploring the topic. Those that do so can end up with an exciting and engaging documentary, as you will be able to see from our list of the 11 best space documentaries on Hulu. In order to create the list, we checked Hulu’s site for the most popular and recommended documentaries, supplementing that with the list of available Hulu documentaries on Something To Stream. Each documentary that was related to space was then ranked according to their IMDb ratings. If two documentaries had the same IMDb rating, we gave a better position to the one that had more votes. Shall we begin the journey (on the next page)?